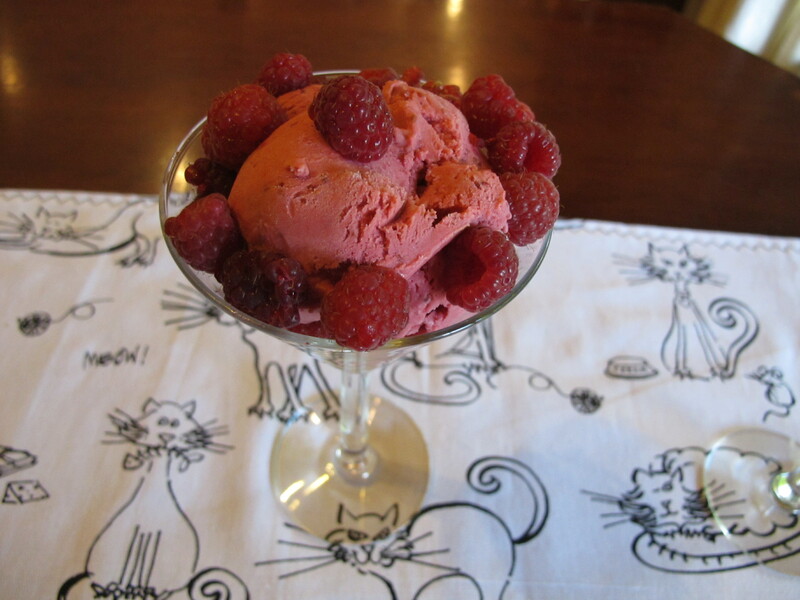 Son Elliott is following the Paleo diet and has suggested that I might like to put together some suitable recipes, so today I made a Raspberry “Ice Cream” with just three ingredients. I was a bit doubtful about it, but its flavour is divine! Tomorrow I have a variation in mind to make, and if it’s successful, I’ll post that recipe as well. Place the raspberries in a small saucepan and heat just to boiling point, then stir in the honey until dissolved. Cool. Stir in the coconut cream. 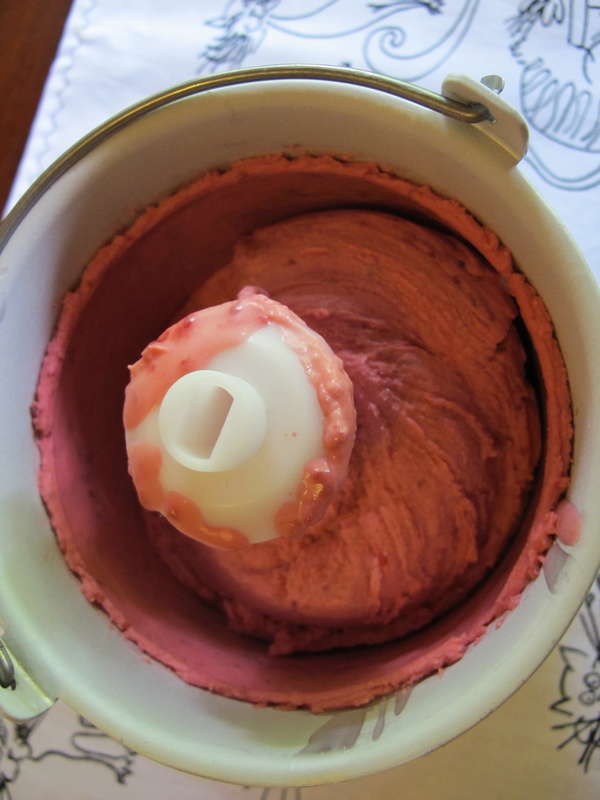 Churn in an ice cream machine, then spoon into trays, cover and place in the freezer.